We are excited to introduce the latest addition to our line of trays—the Non-Skid Versa Camtray with Handles. Now available in 14” x 18” (36 x 46 cm), the non-skid surface provides safe handling and eliminates the use of tray mats, allowing operators to save cost and reduce waste while maximizing storage space. In addition to the durability of this tray, it has high stain, odor and chemical resistance as well. 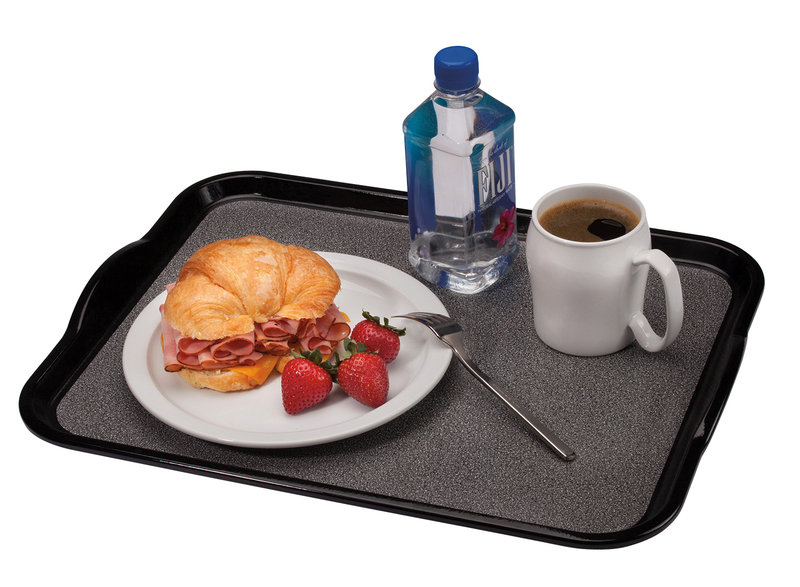 Healthcare foodservice operators can also personalize this tray to promote branding and to enhance their tray top presentation. Also available in 15” x 20” for on-demand room service. Download product information or Contact a Cambro representative to request a free sample or to inquire about personalization options.